Our hand crafted range of high quality coloured candles are available in a variety of various shapes and styles. These can be mixed and matched by customers to create their own unique candle arrangements. 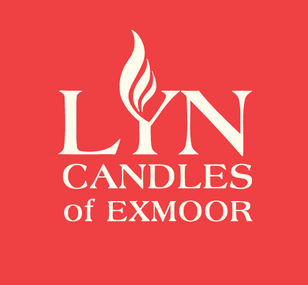 At Lyn candles based upon Exmoor in the pretty coastal village of Lynton, only the highest quality grades of paraffin wax are used. We very much pride ourselves on their unique appearance and their long burn times. Each candle is lovingly created individually by hand using traditional moulds. All of the candles that are within this range are unfragranced. The range of shapes currently available includes a variety of pillar candles, along with more unusual blocks, cones and hearts. Our candles are available in a variety of colours including red, yellow, orange, green, aqua, brown, amethyst, black, rainbow and our unique tutti frutti mix. We are very busy during the day so if there is no answer please leave a message and we will get back to you. You can also visit us in Lynton, North Devon, and browse our handcrafted candles first hand.